Hotel Lush Royale has 28 lavish rooms and suites, all equipped with custom robes, free Wi-Fi and safes. Our updated rooms and suites are a refreshing resting oasis, providing comforts needed for good vibes and a memorable stay. 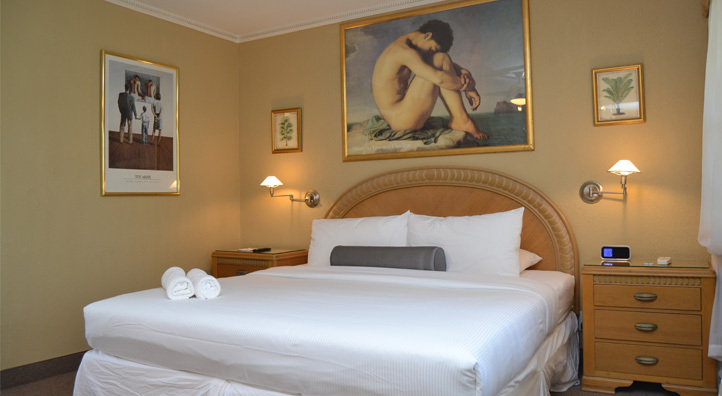 Take a look at our rooms and see that all they are missing is you! Our Junior Queen rooms are the perfect, intimate-sized room to get a vacation started! They are appointed with a queen-size bed and pleasing views for resting your mind and body after a sun-filled day. Both rooms have a mini fridge, vessel sinks in a large bathroom, small writing desk and a large closet. 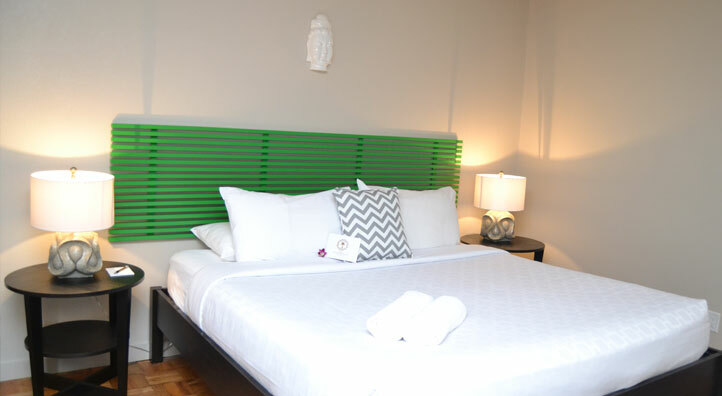 In these modern Standard Queen rooms we provide comfort for all who stay. They have a queen-sized bed, a mini fridge, a large walk-in closet and leather accent side chair. The Deluxe King is a fantastic choice for a room! These spacious rooms have a king-sized bed, mini fridge, side chair and writing desk or dining table. Each one of these rooms has a great view of our tropic gardens. 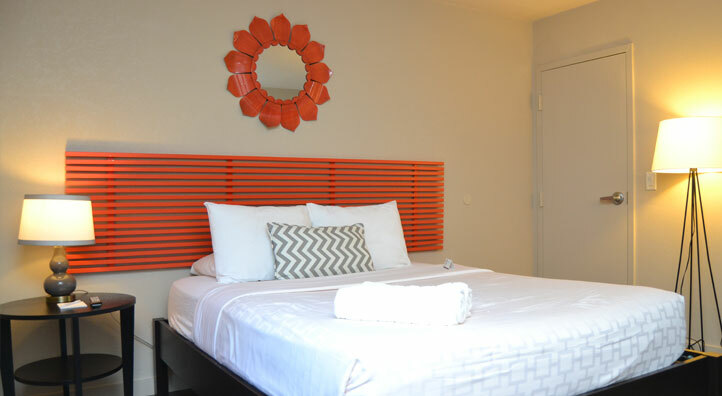 These bright and spacious rooms have 2 king-sized beds that can easily accommodate 4 adults comfortably. There's a dining table, side chair and mini fridge. These rooms are the perfect base camp for your vacation in paradise. Our Deluxe King with Kitchen room is one of our largest King rooms, perfect for extended stays or special occasions, or just because! This room is bright and has a great view of the tropical gardens. It has a unique set up with a galley kitchen, stove, oven and full-sized refrigerator. This large King room has a dining table for 2 and a side chair. 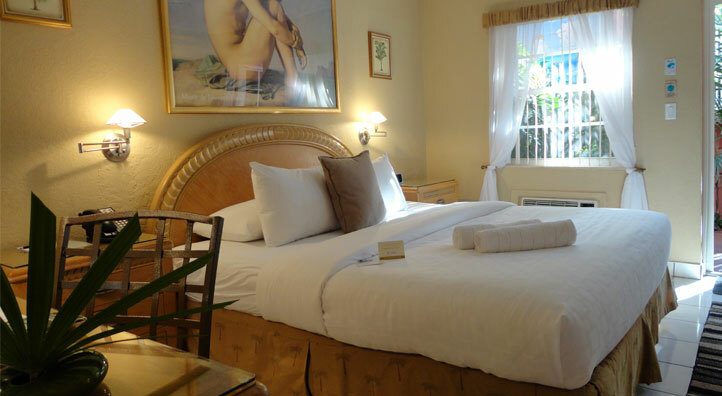 The Royal Queen Suites are nestled within our tropical setting. 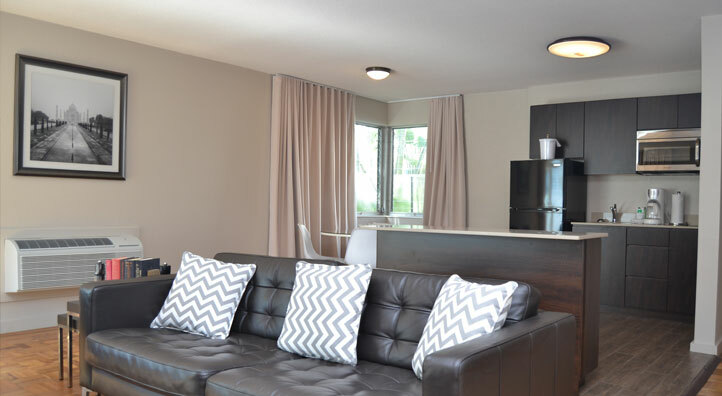 Your suite will have queen-sized bed, sitting room, walk-in closet and kitchenette. Two have a private balcony. Room #26 features a private spiral staircase leading to amazing views of the area. 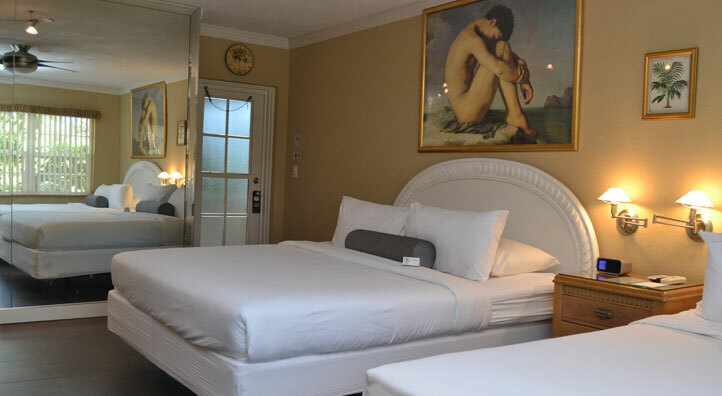 Our Royal Suites are fantastic large-sized suites with a king-sized bedroom and a walk-in closet. The open floor plan features a living room, breakfast room and a kitchen with large windows so you can view the tropical paradise steps away. It's for royalty for sure! 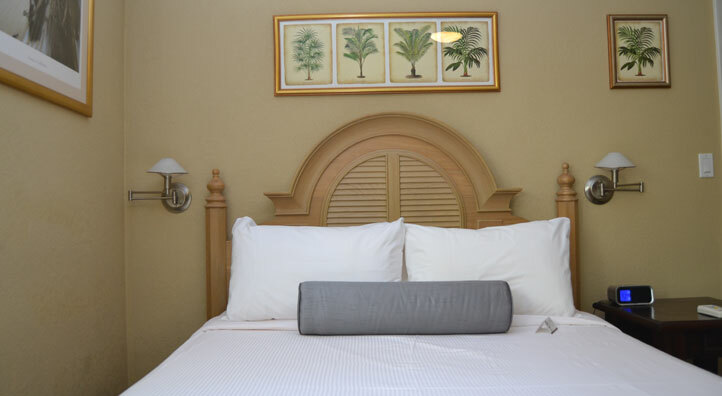 Superior Royal Suites are our largest and special guestrooms in our tropic oasis. They are large, beautiful king-sized suites perfect for you to relax, refresh, entertain and rejuvenate.. The open floor plan gives you a great room featuring living/dining room and kitchen; in addition one of these amazing suites are equipped with a stove and dishwasher, perfect for longer stays. The perfect retreat, Superior Royal Suites feature private balconies to best enjoy our tropical paradise.